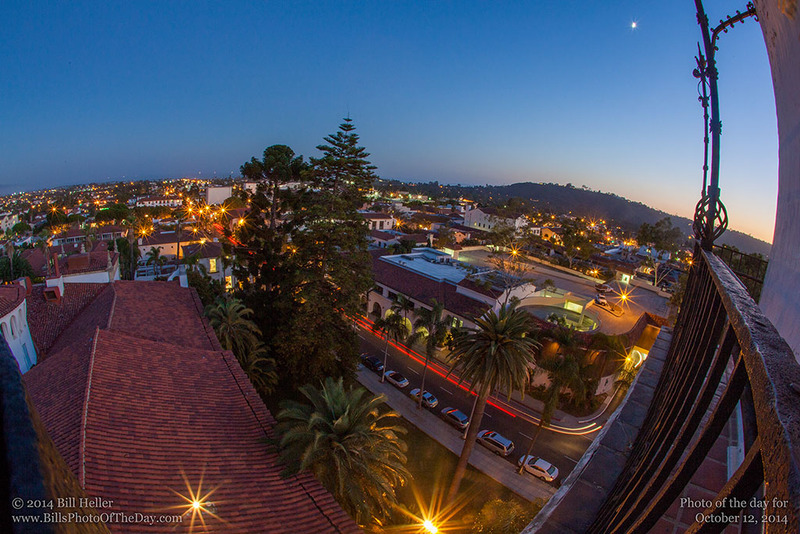 I'm often surprised at how many locals have never been to the observation deck at the Santa Barbara Courthouse Clocktower. It's a wondeful experience, even for those of us who may be used to looking at the beauty of Santa Barbara all the time. A wonderful experience that is, if you can easily navigate the tight metal stairways winding up the last story from the top of the elevator. But that is all about to change. Thanks to the caretakers of the courthouse a new project is underway to extend the elevator the last story all the way to the observation deck. But unlike some of the accessibility stories you hear where someone sued or complained to get action, the story behind the project is very positive. The courthouse has had ADA accessibility plans in the works for some time, but this particular project was accellerated by the people who forged ahead, rather than let it stop them. Even though the climb to the top was tough there are many who make the trek apparently even in the face of extreme difficulty. Inspired by the people who felt the experience was worth the effort, the Courthouse Docents urged the powers that be to fast track the project. Led by a guy who's love of the history and heritage in his care is quite apprent when you talk to him, the County Arcitect Robert Ooley, the project got the green light this week. Of course, extending the elevator another floor is no easy task. Starting January the Clock Gallery and the observation deck will be closed to the public to allow for construction, which is slated to run through July 2015. So if you've never been to the top because you've just never got around to it, now is a great time to go before construction starts! Of course if you've stayed away because of the climb, your wait is almost over. Either way, during the construction I'll do my best to bring the wonderful views right to you.